Recognizing our lack of preparation, Senator Boquist provides animal owners a must-have list for earthquake, pandemic, terrorist attack, or even power- grid overload as we begin 2019. I am reaching out to all citizens to update you now given the variety of recent disasters, and our nation’s lack of preparation. Why worry about being prepared you ask? Simple. The State and Federal Government are not prepared for a major catastrophic emergency in the Northwest. We will likely never be prepared thus YOU and your Community must prepare yourselves. Whether is a Cascadia earthquake, tsunami, volcano, pandemic, terrorist attack, or grid overload does not matter. In almost every single event, the power grid is down for weeks if not months. Besides power outage, communications are out. Your cell phone goes dead the first day, potable water stops flowing, sewage is no longer pumped, there is no power to pump fuel into any vehicles, there are no grocery stores, and bridge failures will ‘island’ several million people. We have conducted drills again this past June along with increased planning. This update is a result of those drills as key ‘state and federal’ emergency management officials were clear that life and death for many Oregonians may well rest upon individual and local non-government community preparation. If you want a good read on the possible scenarios look no further than Ted Koppel’s recent book “Lights Out: A Cyber attack, A Nation Unprepared, Surviving the Aftermath.” The book is available online. Many people say they cannot afford to prepare for an emergency. They look at Red Cross and other lists, then revert back to the thought "it is too expensive for me to be prepared." How much is your life worth? Do not rely on government. Google the “Red Cross” or “FEMA” or a dozen web pages offering expensive solutions. I will outline some disaster preparedness solutions you should consider since the ‘government’ will not be coming to rescue you at the beginning of any major catastrophic event. Most of you have a large quantity of items already. Think about it. The minimum is you will need to stay dry and warm, drink water, eat food, defecate, and stay sanitary to avoid disease. Yes, there are other items like a flashlight, radio, good book, etc. but chances are these already exist in your house, apartment or car. Stay dry and warm. Even in an earthquake, portions of your residence many still be waterproof. You may already have a camping tent. If you have a tent then you likely have a sleeping bag. If not, you have bedding and blankets already. An extra blanket is $12.29 from Wal-Mart online today. Remember you have extra cloths that can be used both for warmth, and sanitation. If you decide to leave your damaged home make sure you take items to stay warm and dry. Also remember, the neighboring town may be worse off than yours. Drinking water. Medical professionals claim you need 9 to 15 cups of water per day. There are 16 cups in a gallon. On $5 Friday at Safeway, it is .89 cents per gallon for bottled water. In most of the above emergencies you may only have running water for a few minutes or hours. THINK WATER immediately after the first trauma. Fill the bathtub. Fill empty containers. Fill extra bottles, buckets or cooking pans immediately. It rains in Oregon, put out a $2.97 Homer bucket from Home Depot if worse comes to worse. Extra food. The biggest excuse for not preparing I hear is "I cannot afford any extra food." Usually, the person telling me this is standing next to their SUV with their i-Phone in manicured nails, wearing a $300 hunting jacket. Many preppers buy expensive long term storage items. Oddly, some people will starve to death in a couple weeks simply because they do not like the taste of the food. Yes, you should rotate food if at all possible. I think some of you may detest places like the Dollar Tree, Family Dollar, Dollar General, Waremart etc while many of you are regular shoppers. My walk through Dollar Tree last week was enlightening. 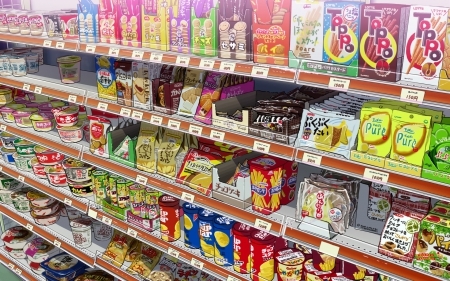 Even on SSI there are food items that can be bought, eaten and rotated very inexpensively. Likewise, I saw 25 lbs of rice at places like Costco, Wal-Mart, United Grocers, and Waremart for around $15.00. Add 24 bouillon cubes I saw online for $1.58 and you have a start since both items have long shelf lives. At this time a year, United Grocers (Cash & Carry) has 50 lbs of potatoes for less than ten bucks. Likewise, 50 lbs of onions are less than ten bucks too. I list onions as the British Navy, and modern Third World armies, have stayed in the field living on onions due to its characteristics. Chances are you already have salt and pepper in your cupboard. Worse case, a 24 pack of Cup O’ Noodles is $8.29 at Costco, or $9.95 online, plus Wal-Mart etc. Western Family has case sales every fall. Many canned goods can be eaten straight from the can like pre-cooked corn, beans, ravioli, etc. Yes, buy healthy if you can but buy what you will eat and can afford to store. Heating Food & Water. This was not in the list above. Yes, you should boil un-pure water if possible. Yes, at least some hot food is the best plan for a month's menu. Amazon lists a one burner propane stove for $17.88 from Coleman. Target is $16.99. Webstaurant Store is $10.99. Fuel canisters average $3.47 for a canister or two for $6.24. Your existing pots and pans will work just fine. Wal-Mart, Target or any sporting goods store has these items. Your BBQ might be the answer too. If ‘expense’ is the problem, buy one item a month until prepared. Again, plan for at least a month. Defecate and sanitation. Few talk about this issue but in a cascadia event this failure will likely lead to disease and death much larger than initial casualties. In non-modern Armies, disease was the leading cause of death. Over 400,000 deaths in the Civil War were disease related. Tens of millions died in World War II not of injuries but from disease. Think about it, there will be no running water, no flush toilets, no bathing water. How will you stay clean. You may have toilet paper but where are you going to defecate? If the sewer is still connected it may be the bucket of rain water if you have enough. Or you may need to dig a hole in the ground away from your water source then designate it the place everyone in the family uses. Use a bucket worse case. Clorox Handi-Wipes are $2.29 online at Jet.com. Staples has a four packs of wipes for $6. Likewise, a bar of soap with a wet towel can be used. Bleach is a must have on my list. Buck a gallon at Dollar Tree. Bleach can be a miracle drug in stopping disease in a disaster. In the Army, we said “if you take care of your feet, your feet will take care of you.” In a long term power outage, you will need to stay clean by washing even if by wet cloth. You will need to change clothes. In the old days, people used the same set of work clothes for many days then changed to cleaner non-work clothes at the end of the day. You at least will need to be prepared to wash under garments and socks by hand. Let me remind you most of the world population is still washing clothes by hand. Note I did not talk about brushing teeth and other routine items since you will have plenty of time to dig through the potential rubble to find the tube of Crest along with your tooth brush. Get away bags. 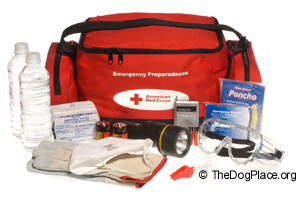 Emergency management professionals all recommend having a small bag in your car or office for an emergency. This bag is not a ‘live all save all’ bag. It is meant to get you ‘home’ or to safety. The place you go will depend upon where you are at the time of the event but you likely will be walking so you are not going very far fast. And most roads will be closed in any major catastrophic natural disaster. My wife has a ten dollar backpack in her car. It is simple. Walking shoes, jacket, sweat pants in case she was wearing a dress, large water bottle, flashlight, and a few walking items. She keeps a few snack bars and extra water in the car too. Her plan is simple. Call home before the cell tower batteries or generators die. Leave a message or tell whomever where she is at and that she is walking home. The reasoning is simple too. Likely she would be in Salem if a Cascadia earthquake happened. It is a 100 miles to anyplace in Eastern Oregon (or perhaps where you live) and roadways will be overwhelmed with starving refugees after a few days. If it is a power grid failure as outlined in Ted Koppel's book, it would be 500 to 800 miles to anything called civilization. Safety and security. After nearly four decades as a Special Forces Officer, my experience tells me it is going to be very uncivilized in a long term catastrophic event to say the least. My recommendation is to find a combat veteran you might know to discuss this topic with you at length. With no disrespect, law enforcement is not the right place to seek answers if and when a disaster occurs, police will be overwhelmed. Better to reach out now to one of Oregon’s 325,000 veterans for suggestions on how to prepare for safety and security in a catastrophic event. editor's note: call the VA or a Veteran's group in your area to make contact BEFORE you need help. My Legislative Update is not meant to alarm you, or provide anything but suggestions on how you prepare for an emergency. It is meant for you to act. In June 2016, a half dozen Legislators attended the most recent national drill for catastrophic events in which Oregon participated. Three of the most senior emergency response officials from Oregon and the United States Government agreed on one thing very loud and clear; individuals will be on their own for a very long time, and survival of many will depend purely on local communities working together. Nobody should expect someone to arrive on their door step after a catastrophic natural disaster or grid failure saying "I am here to help you, I am from the government." YOU need to be prepared to take care of yourself, your family and hopefully your neighbors for the first few weeks or months. TheDogPress.com thanks Senator Boquist (Chairman Veterans & Emergency Preparedness - Oregon State Senate) for his service and for this vital information. 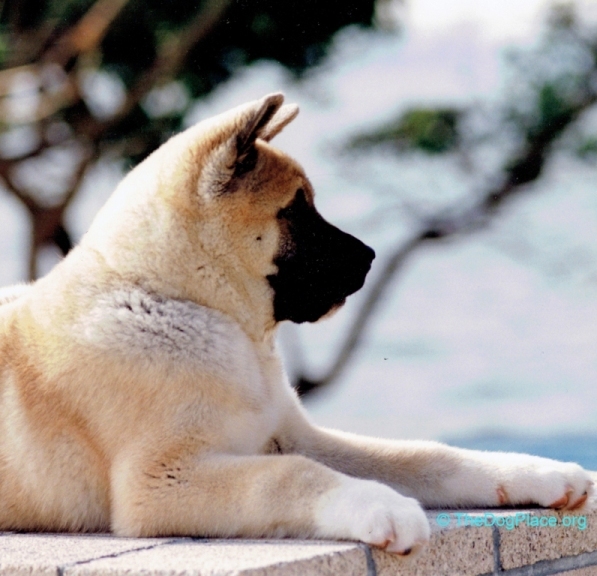 An Akita puppy was the key of life for to this WWII paratrooper. Dr. Lee shows how to outlast weather or social disaster.